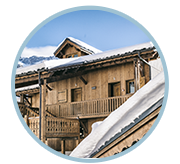 Discover our chalets in great comfort, located at the entrance of the station of Val Thorens, in a quiet environment and a few steps from the slopes. 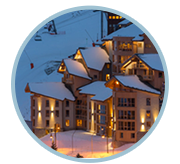 These high-end, human-sized residences are an essential reference in Val Thorens. 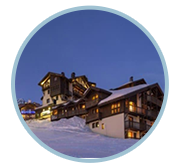 Havens of peace nestled aloft, our chalet apartments provide their guests with a breathtaking panorama of the surrounding mountains. 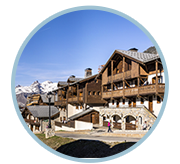 Combining traditional rustic architecture with modern equipment, each chalet is a haven of peace and intimacy, where you can enjoy hotel services and the independence of an apartment. 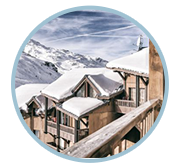 For your next stay in Val Thorens, make the choice of our establishments: The Chalet de la Lombarde or the chalets of the sun with warm interiors, you open their doors! 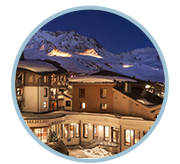 Montagnettes Val Thorens is labelled " family plus » for a successful family holiday! 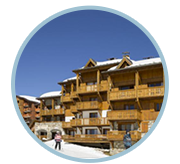 Our chalets in Val Thorens perfectly embody the careful attention that the Montagnettes give to every detail. Thanks to their generous area and their independent organization inspired by traditional mountain villages, each chalet is a place of life whose character is no longer to be redone. 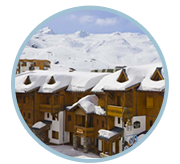 Val Thorens is much more than just a ski resort: it is a state of mind, a philosophy of altitude. 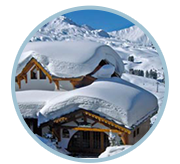 Festive, relaxed and open to all, the ski area of the three valleys pushes more every season the limits of skiing! 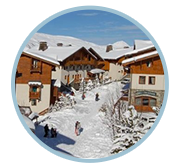 Live in the establishments Montagnettes different experiences in authentic apartments in "résidence Chalet", apartments in "Residence 4 stars" and in our rooms and suites in "4-star hotel". We make it a point of honor that every stay is unforgettable. Click on the different categories below to find out more. You can also change some of your preferences. Note that blocking certain types of cookies can affect your experience on the sites and the services we are able to offer you. These cookies are strictly necessary to provide you with services available on our website and to use some of its features. Because these cookies are strictly necessary to deliver the site, you can not refuse them without impact on the operation of our site. You can block or delete them by changing your browser settings and forcing all cookies to be blocked on this site. These cookies collect information that is used to help us understand the use of our website (performances, time of loading of pages visited...) or the effectiveness of our marketing campaigns always in order to improve Your experience. We also use various external services such as Google Webcasts, Google Maps and external video providers. Because these vendors can collect personal data, we allow you to block them. Be aware that this could dramatically reduce the functionality and appearance of the site. The changes come into effect once the page is reloaded. Click to enable/disable Google Webcasts. You can read our privacy settings in detail on our "imprint" page.